These are the sentiments of Staff Sergeant Ben Trescott, United States Army (Retired), upon returning victorious from the annual Warrior Games in Colorado Springs. The Warrior Games is an athletic competition for disabled soldiers, held annually at Fort Carson and hosted by the U.S. Olympic Committee. Freedom Alliance connected with Ben after last year’s Troop Appreciation Dinner at Fort Jackson, when we learned of his need for a reliable weapon to use in 2011’s Warrior Games. 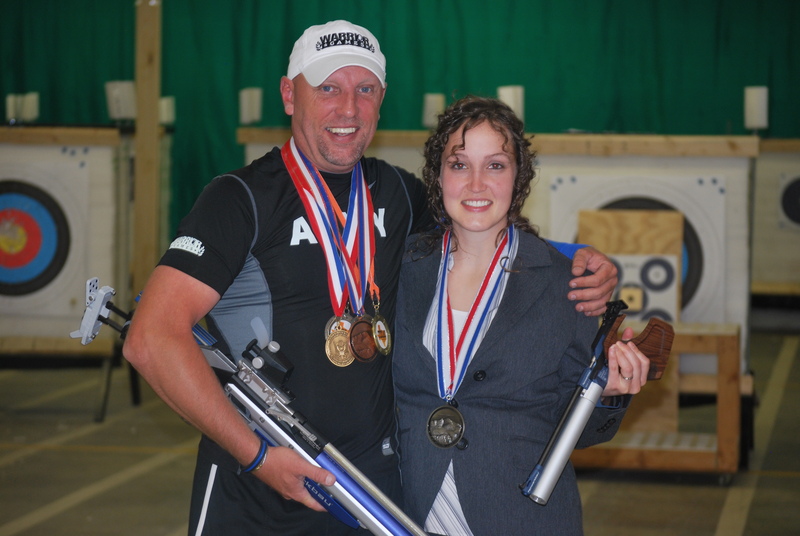 Thanks to our generous donors, we provided an Olympic-grade rifle that helped Ben place fourth in the games. Encouraged and hopeful, he decided to enter two more categories this year. It’s been a rough couple of years for Ben as he’s recovered from damages to his spine, shoulder, back, right arm, and hand, as well as a traumatic brain injury. It is a miracle that he can still shoot, and training and competing builds his confidence and reminds him of all he’s overcome. During a formal presentation at Tom Jeffery’s Archery range, Freedom Alliance awarded Ben an air pistol and bow, gifted by means of several specific donations, to use at this year’s Warrior Games. Then it was off to Texas, where he competed regionally, taking home the gold in all three categories: pistol, rifle, and bow! Ben’s father, a Vietnam veteran, is also his coach, and one week after the Texas games, the father and son traveled to Colorado for the national competition. It was an especially meaningful trip, because Ben’s father had suffered a heart attack last year and was unable to attend the previous Warrior Games. This time around, with his dad and all his supporters at Freedom Alliance behind him, Ben earned a silver medal in the bow category and the bronze in pistol. As in any Olympics, it takes hard work and dedication to qualify for the Warrior Games, and only the best are selected. Freedom Alliance is proud to reward Ben’s efforts through weapons sponsorship. Cheers and best wishes to our 2012 two-time national medalist Ben Trescott!